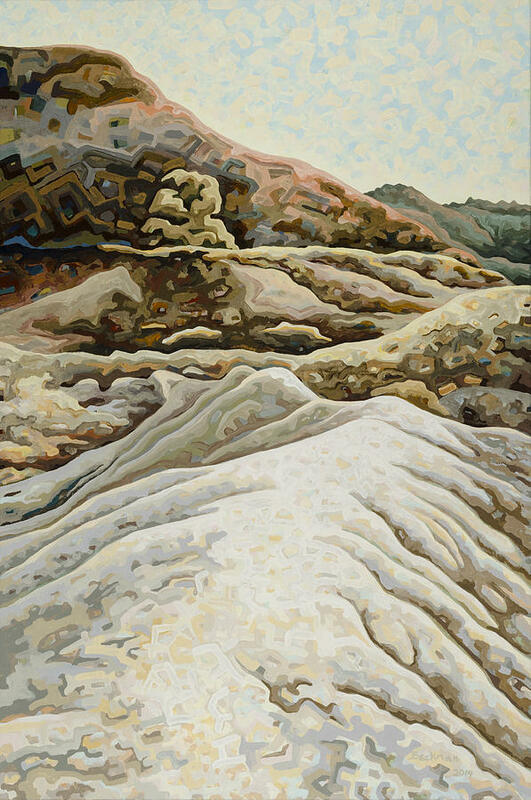 Dale Beckman is an Abstract Realist. 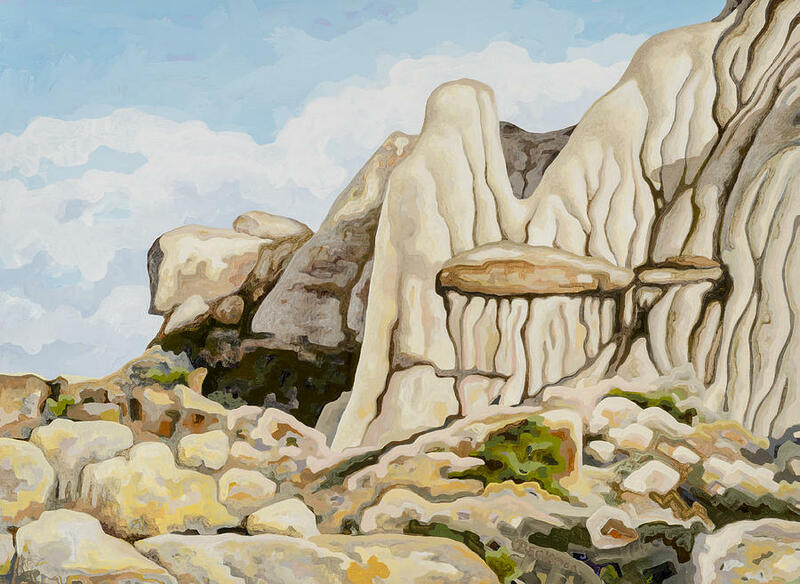 Abstract Realism is an art movement that is not easily defined because it is a marriage of two contradictory terms, Abstract art, and Realistic art. 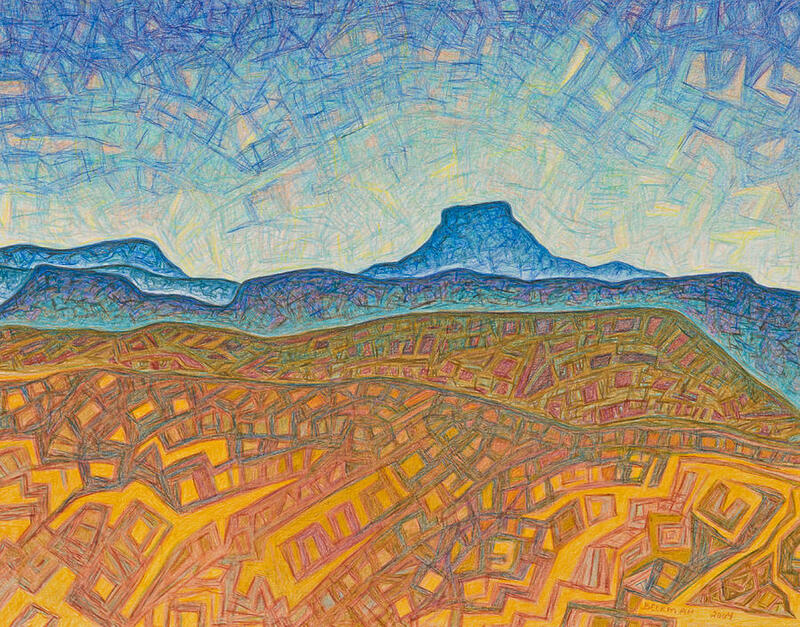 The abstract artist uses lines, shapes, colors, texture, and pattern to create a rhythm. 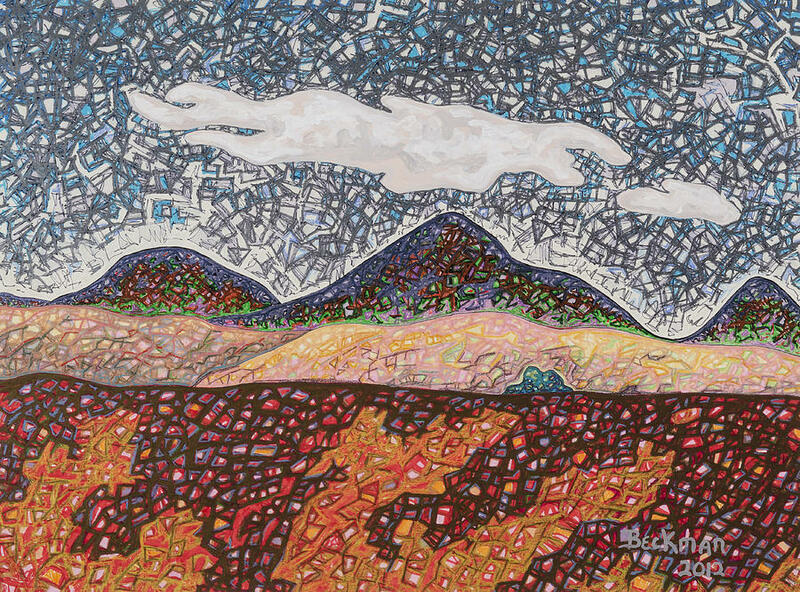 Dale Beckman said, " I paint landscapes as an entry point into the artwork however, electromagnetic energy is the subject. 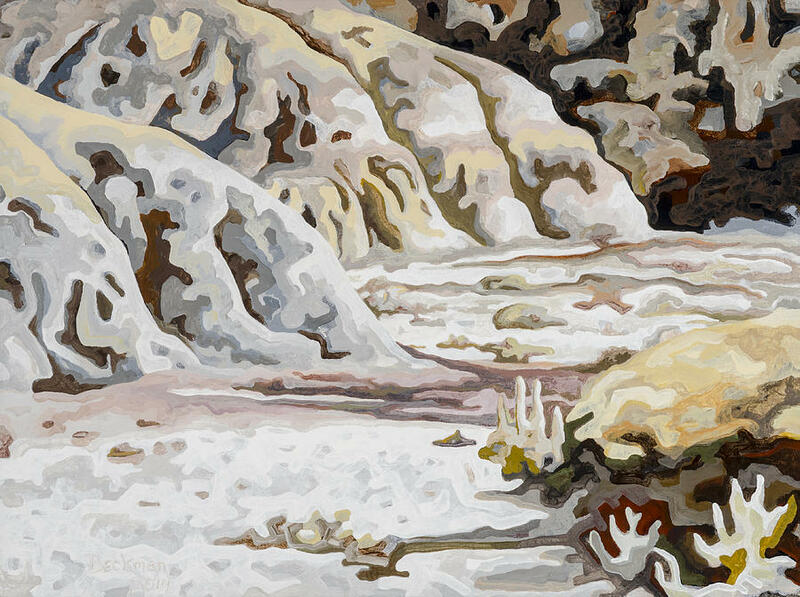 The objective world is there but it is made up of a subjective soup". 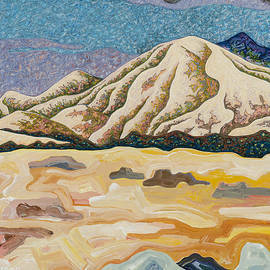 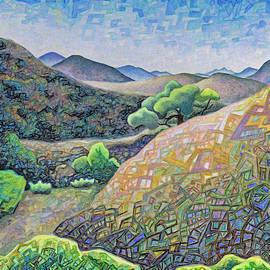 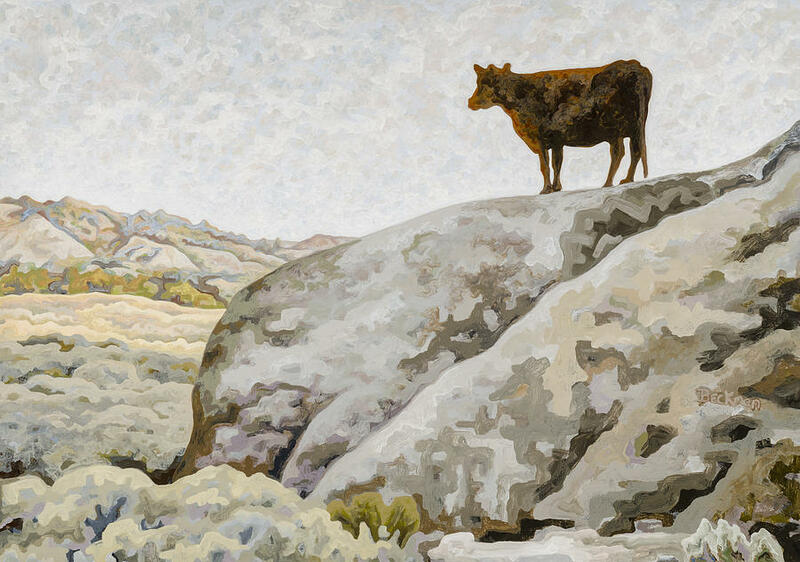 Dale Beckman was born in 1955 in Forsyth, Montana. 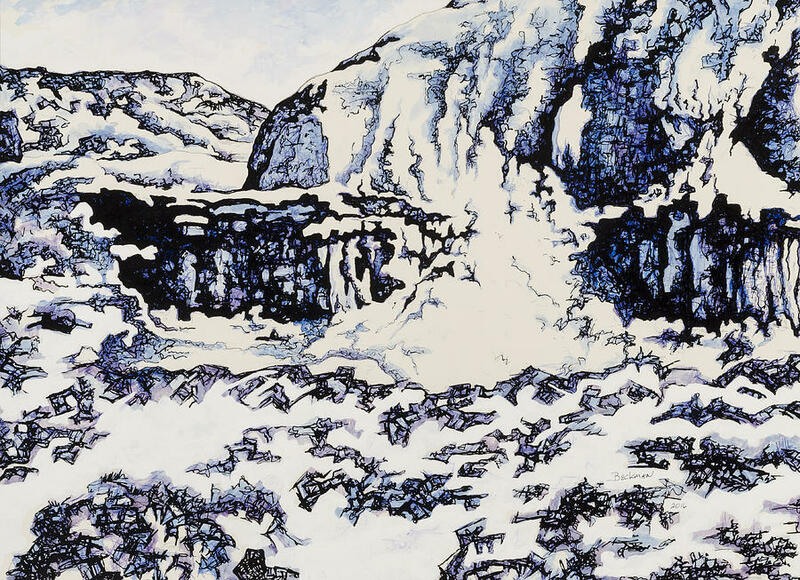 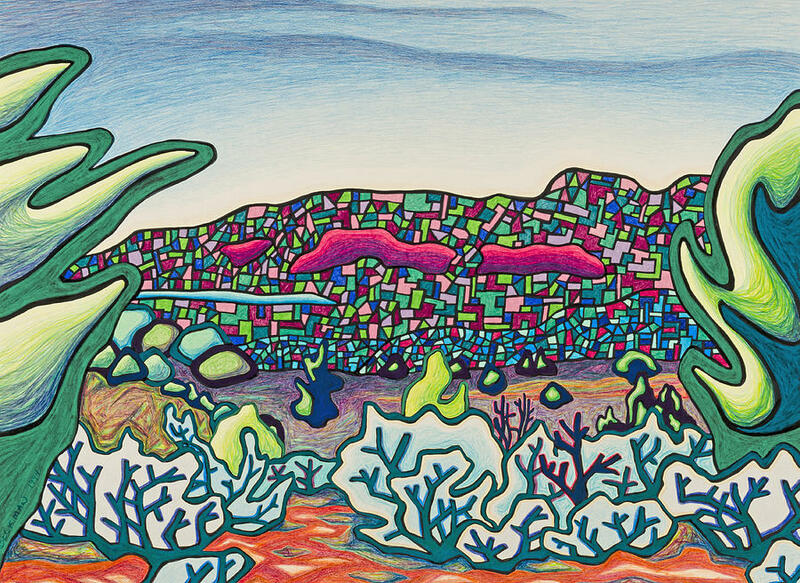 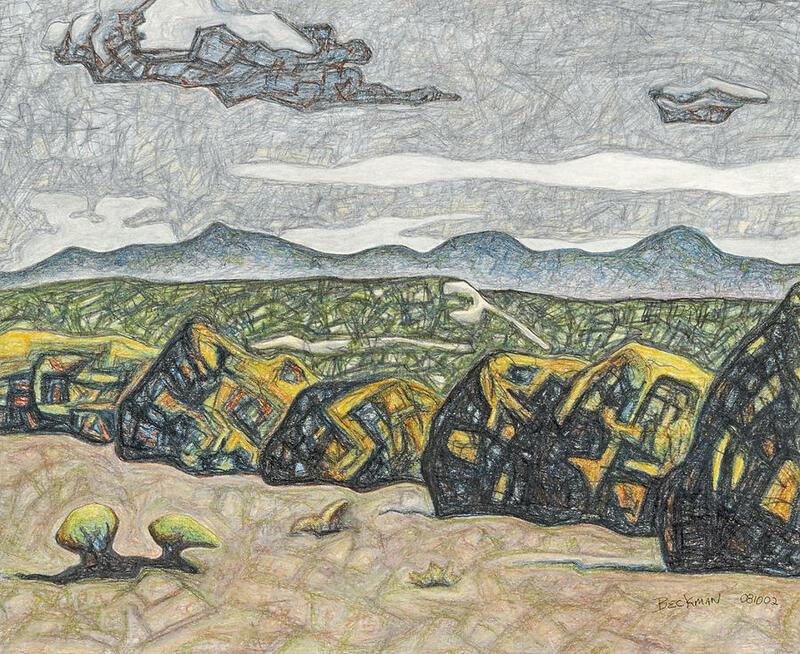 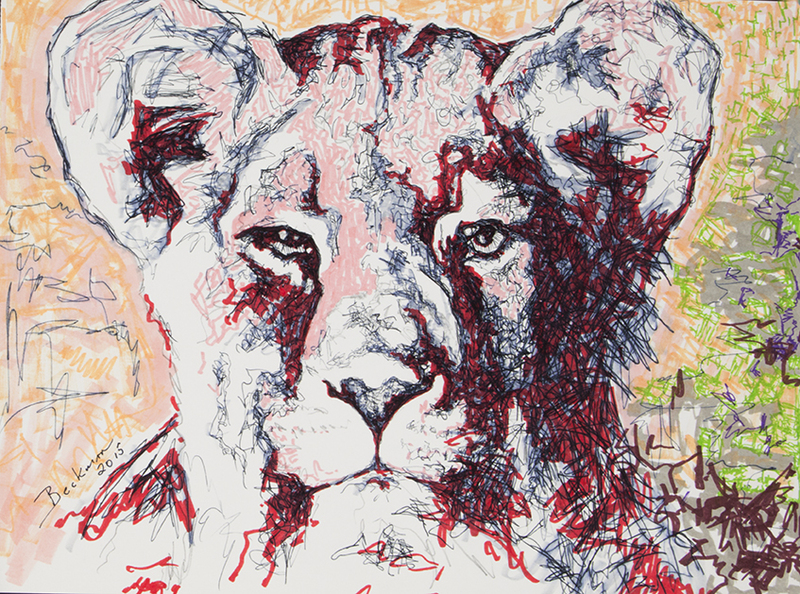 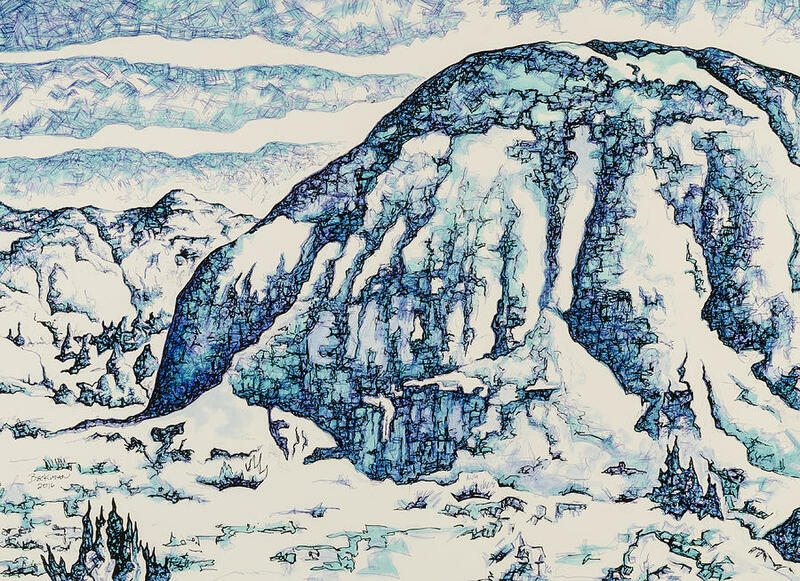 Drawing images from a very early age, Dale followed his interest in the creative process throughout his academic career to graduate with a BA degree in 1979 from Rocky Mountain College. 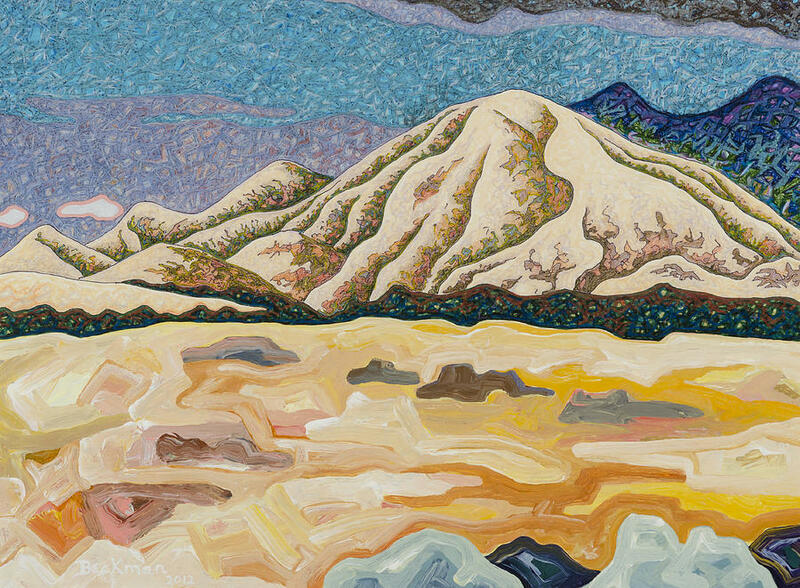 His formal education continued with post-graduate work at the University of Montana-Billings. 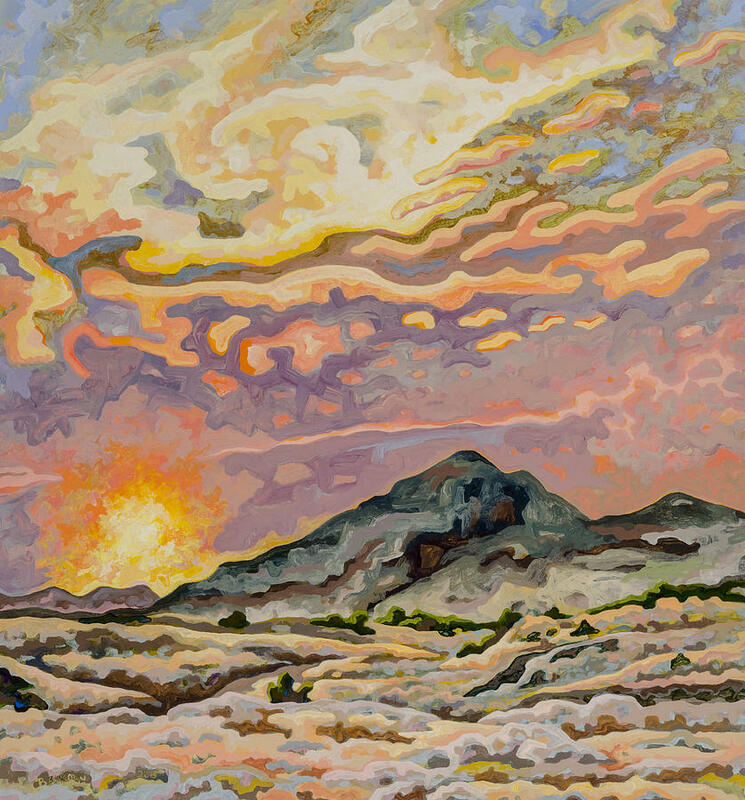 In 1986 he moved to Santa Fe, New Mexico. 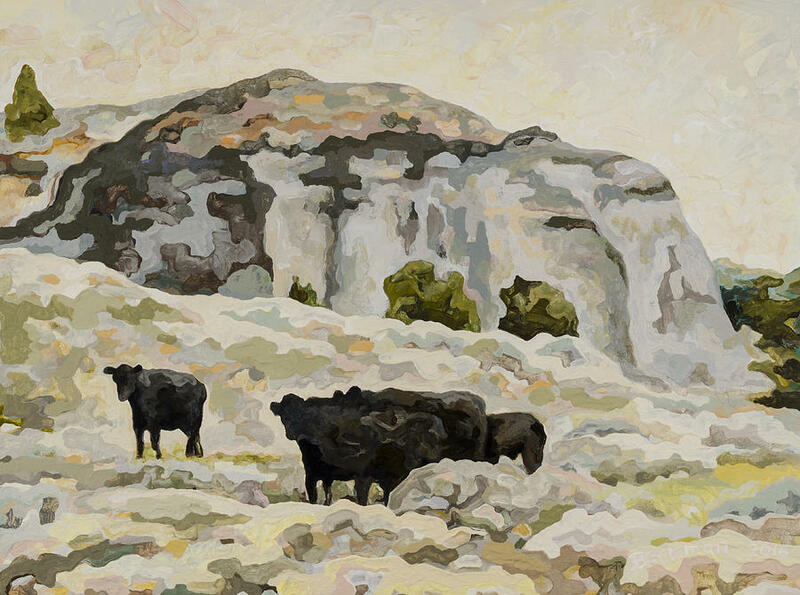 He was active in the outdoor art fairs and regional galleries. 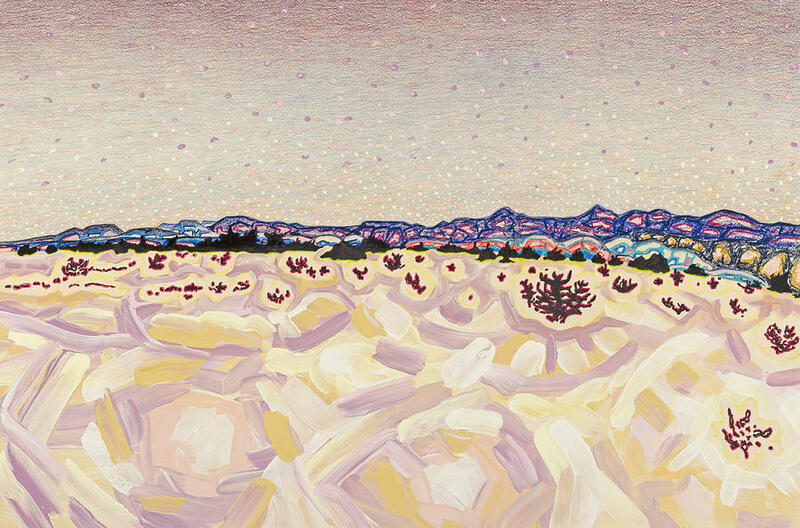 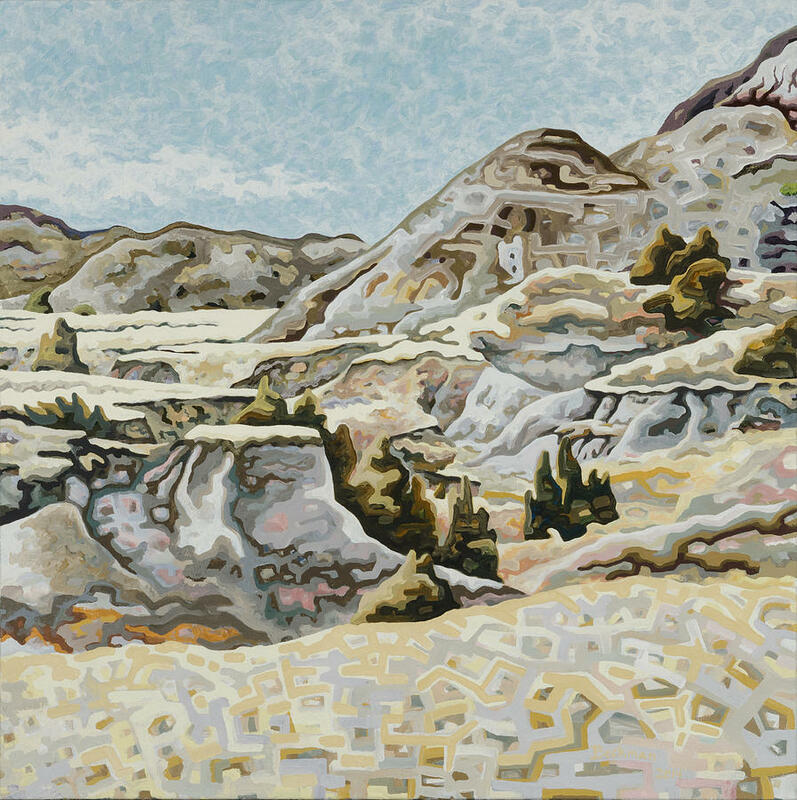 In 1997 he moved to Abiquiu, New Mexico and painted the desert that artist Georgia O'Keeffe had made her home. 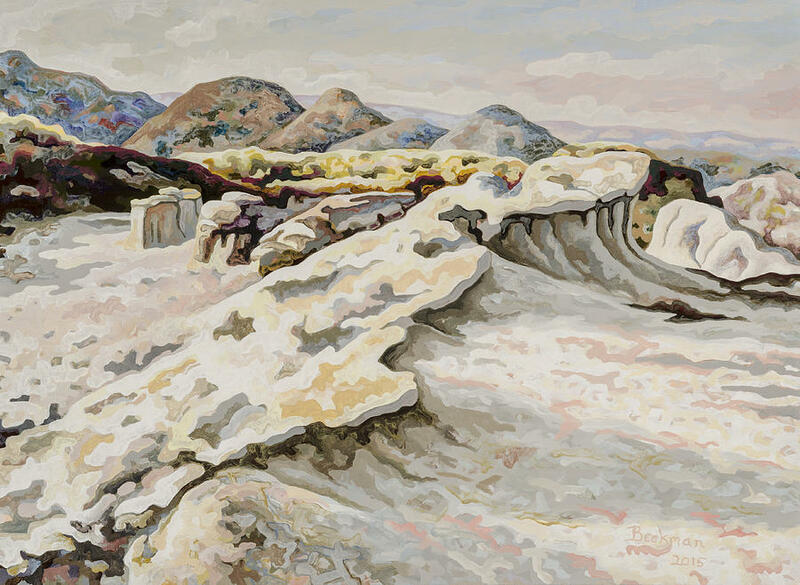 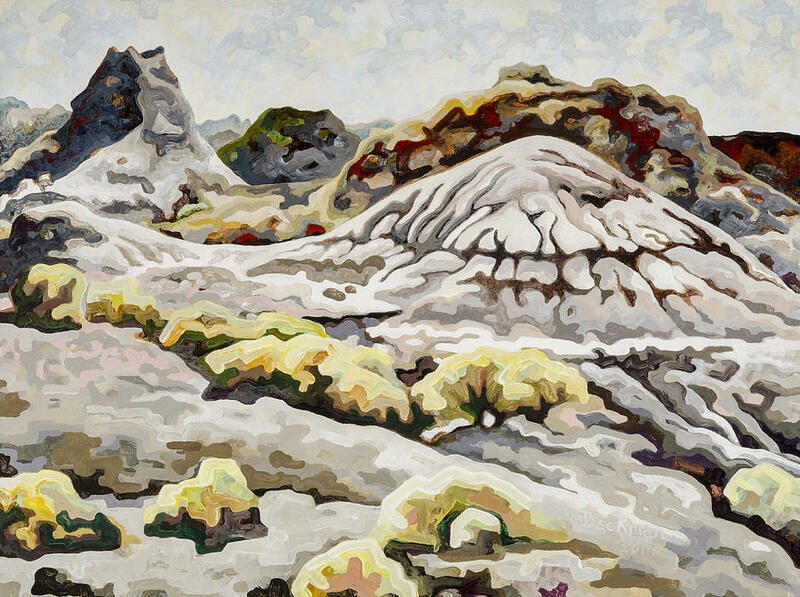 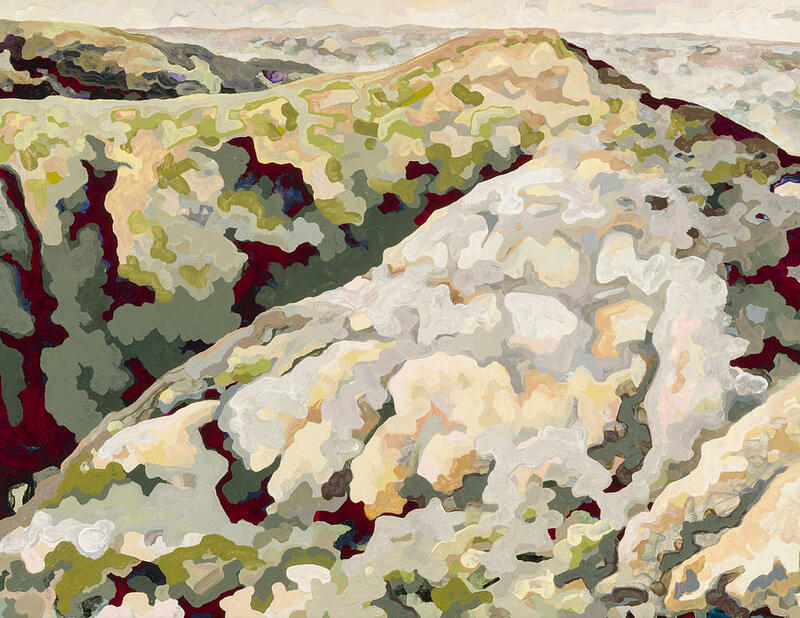 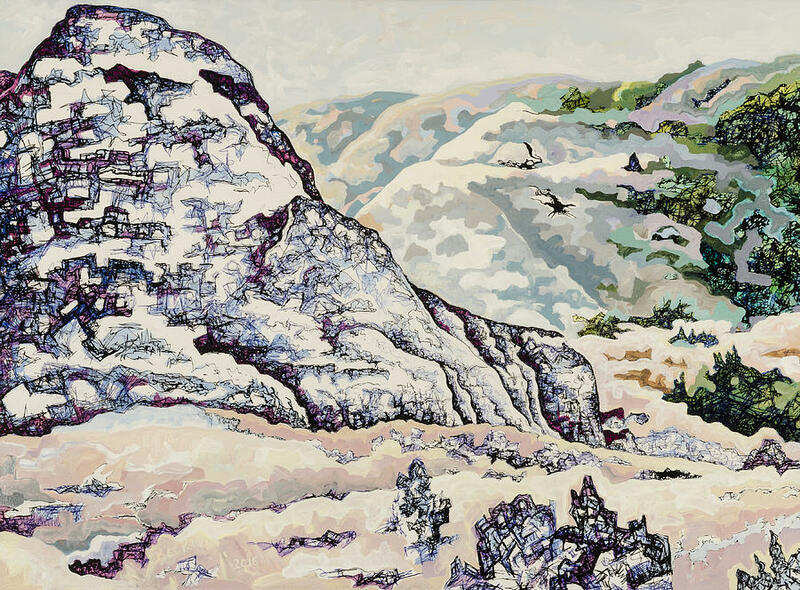 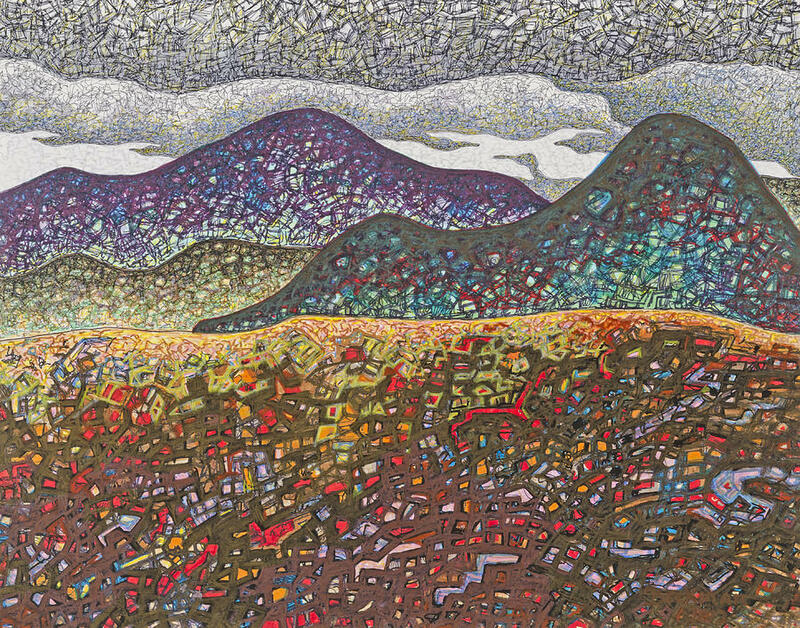 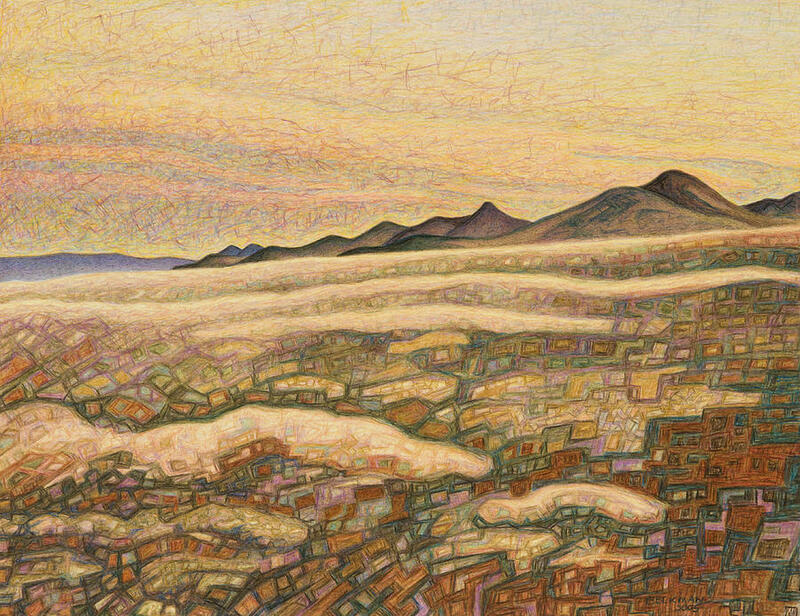 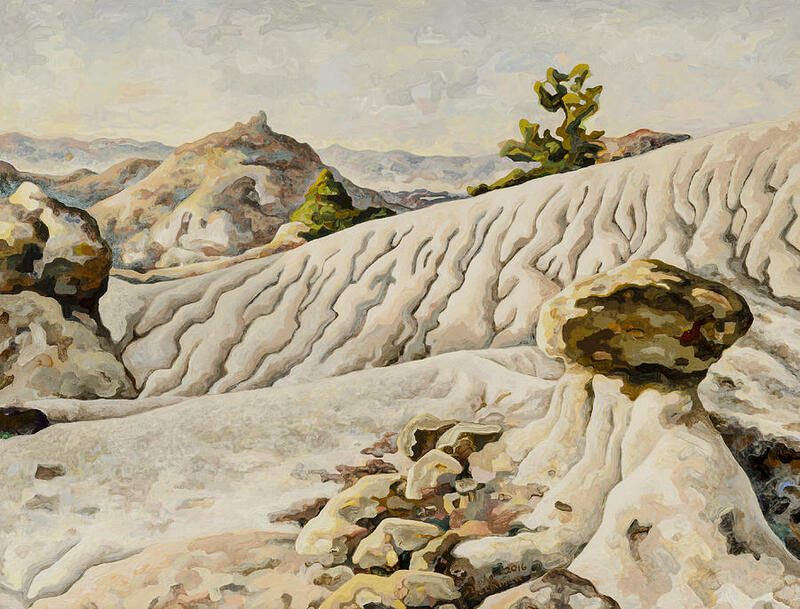 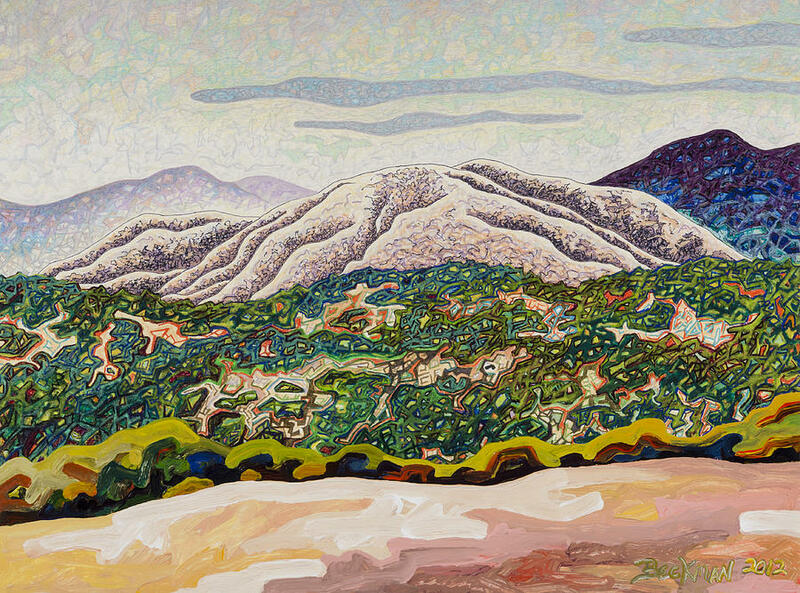 In 2014, the Myrna Loy Foundation awarded Dale Beckman the "Grants For Artists" to help fund the creation of a body of paintings of the Badlands of eastern Montana. 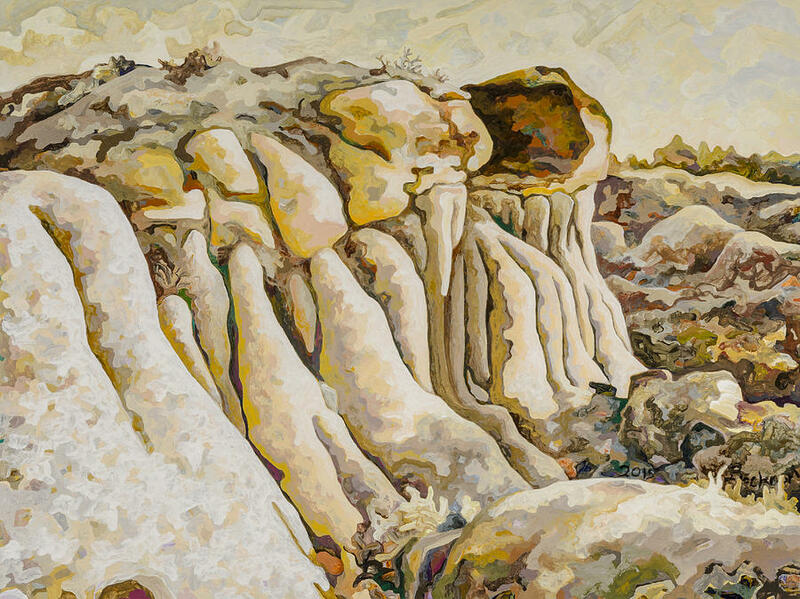 This body of work was then exhibited in 2015 at the Myrna Loy Center in Helena, Montana and also at Dawson College in Glendive, Montana home to Makoshika State Park.